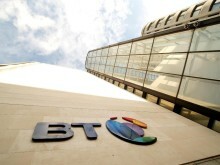 BT has won a prestigious industry accolade - an Emmy® Award – for the way it connects television companies to the BT Tower to distribute live footage. The Emmy Awards recognise past and present achievements in the global television industry – including technology innovations - with the U.S National Academy for Television Arts and Sciences awarding BT for its original Facilityline product which connects TV companies to the BT Tower for live television distribution. BT’s global media and broadcast division has won the Emmy® award in the category of ‘Pioneering and Productization of Supporting Digital Video using SDI over Fiber-Optic’. The award will be formally presented to BT in April at the 2018 National Association of Broadcasters (NAB) conference and exhibition in Las Vegas. Mark Wilson-Dunn, vice president of BT Media & Broadcast, said: “I’m absolutely thrilled with our Emmy award! This is a top-tier media industry award and to be recognised in this way is a fantastic endorsement of our track record of leading the industry, and also a great way to frame the world-leading innovation which we are still bringing to the industry today. BT’s global media & broadcast division touches every part of the global television supply chain, seamlessly linking the processes to ensure content is delivered in a way audiences see as effortless. 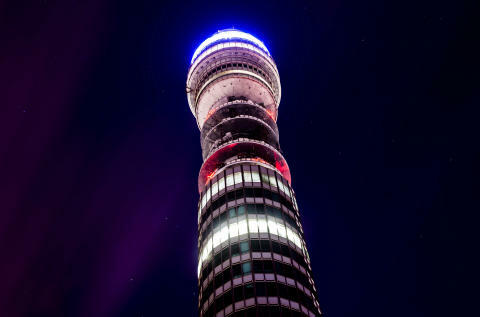 Its state-of-the-art facilities handle up to 16,000 hours of content per day through BT Tower with the business distributing domestic and international TV for many global brands and channels. The business has underpinned the global television industry for more than 60 years, dating back to the first international TV broadcasts, today helping 600 customers distribute and broadcast content around the globe. Always at the cutting edge of the latest available technology, the company has delivered a series of industry ‘firsts’ over the years, including HD and 4K/UHD, and prides itself on delivering bespoke solutions to help customers address both current and future challenges.As experts in live TV, BT combines industry experience and heritage with unrivalled network capacity and capability in the last mile, including fibre, satellite mobile and wireless. The division has recently successfully provided the UK’s first uncompressed video contribution network connecting all 20 Premier League football stadiums in a three year deal with the League’s international broadcasting outlet, Premier League Productions (PLP).